South American cuisine is all about combining exotic flavours. Corn, potatoes, peppers, tropical fruit and dairy products make up the traditional South American culinary spectrum. 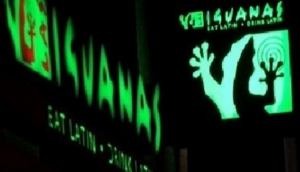 One simply cannot ignore the gorgeous Latin-American chain Las Iguanas, which can be found all over London. There's one in the O2 centre, offering traditional cuisine such as fajitas, burritos, enchilladas and chimichangas. Head to Gaucho for something a little more individual or Buen Ayre to indulge in some steaks from Argentina - the steak capital of the world.